Let creativity be the guide to a building and gaming adventure – journey through unexpected worlds and team-up with unlikely allies on the quest to defeat the evil Lord Vortech. Play with different minifigures from different worlds together in one LEGO videogame, and use each other’s vehicles and gadgets in a way never before possible. LEGO® Bad Cop™ driving the DeLorean Time Machine…why not?! The LEGO® Ninjago™ Masters of Spinjitsu fighting alongside Wonder Woman™...yes, please! Get ready to break the rules, because the only rule with LEGO Dimensions is that there are no rules. Want the best variet? 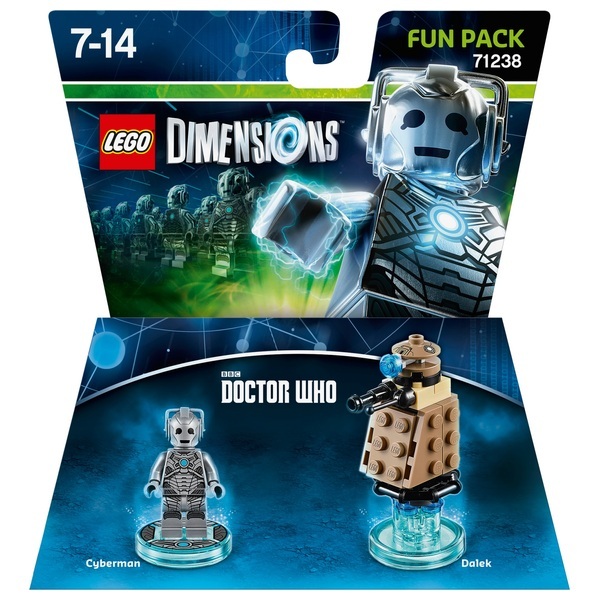 Extra fun comes in each pack containing one minifigure and a vehicle or gadget.